1. Gun Runner – The undisputed number-one horse in the country added to his resume in a massive way with a romp in the Grade 1 Woodward. He’ll now train up to the Breeders’ Cup Classic, where he’ll likely be the favorite. 2. Collected – He’s been fantastic this year and did his best running ever in the Grade 1 Pacific Classic. He seems to love Del Mar and will have a big shot in the Breeders’ Cup Classic. 4. Mor Spirit – His “WOW” performance in the Grade 1 Met Mile officially confirmed that he’s arrived in a major way. His progression from 3 to 4 has been impressive, just like Gun Runner. However, he hasn’t been seen lately because he hasn’t been working out well. 5. Keen Ice – You have to love the consistency that this horse provides. 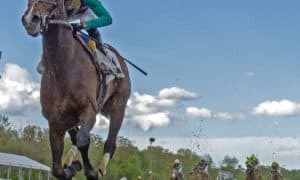 He brings the same effort each and every time, and he proved that once again with a nice second-place effort in the Grade 1 Whitney. 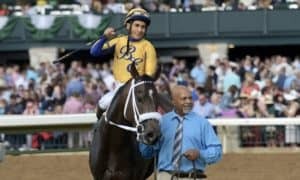 Sleeper: Cupid – He won a small stakes at Del Mar, but it wasn’t as impressive as some had hoped it would be. 1. Stellar Wind – She made it three Grade 1 wins in a row with another narrow win over Vale Dori in the Grade 1 Clement L. Hirsch. 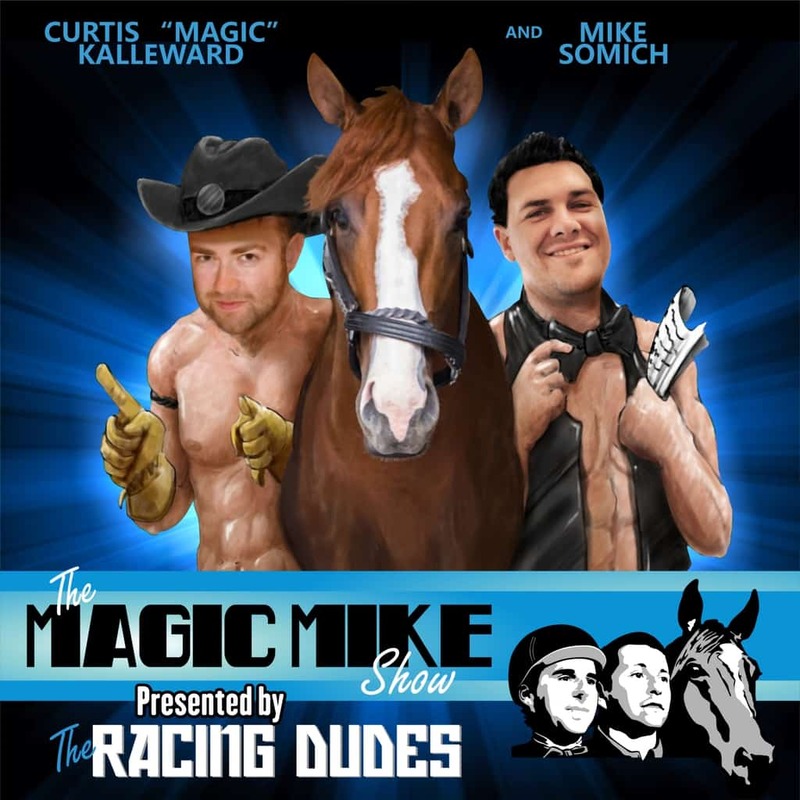 At this point, she has a nice lead in the division, but one race could change it all. 2. Lady Eli – Another fantastic performance when she made her final start at Saratoga a winning one in the Grade 2 Ballston Spa. Her consistent form has been amazing to watch. 3. 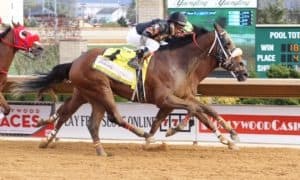 Forever Unbridled – She defeated champion Songbird in the Grade 1 Personal Ensign, which was her second big win of the year. She’s in solid form heading into the Breeders’ Cup and should have a decent shot at winning the Distaff. 5. Vale Dori – Even though she lost again to Stellar Wind, I kept her on here. She battled all the way down to the wire before being narrowly defeated. She’s ranked behind four horses who are Hall of Fame-caliber. Sleeper: Money’soncharlotte – She’s quietly winning smaller stakes for the older females. I’m not sure if she can move up in class or not, but she’s been solid this year. 1. Oscar Performance – The Secretariat victory gives him back-to-back Grade 1 triumphs and easily puts him at the top. After the Travers, he still looks like a clear number one. 2. 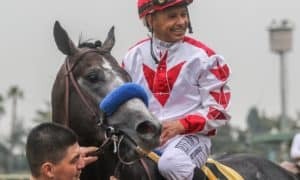 West Coast – His awesome performance in the Grade 1 Travers elevates him all the way to number two in the rankings and gives him a shot to win 3-year-old of the year honors. He needs another big win, though. 3. Irap – He proved in the Travers that he is for real with a solid third-place effort. 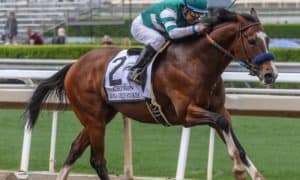 If you scratch out the Kentucky Derby, he has been tremendously consistent. 4. Practical Joke – This is the most talented 3-year-old in the crop and is still undefeated when going one turn after his win in the Grade 1 H. Allen Jerkens. 5. Girvin – He had a horrible performance in the Travers, but I’ll give him a pass because the Haskell/Travers double is so hard to pull off. He will bounce back. 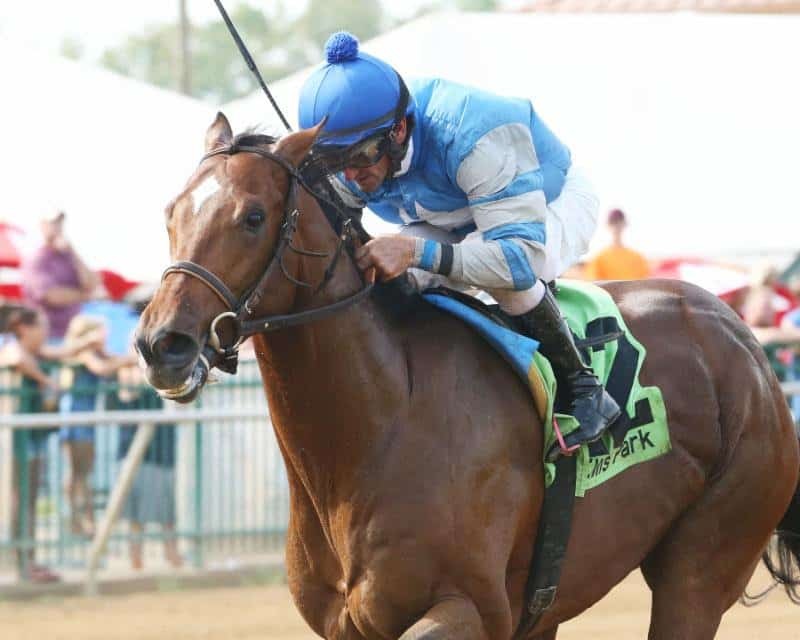 Sleeper: Pavel – He won the Grade 3 Smarty Jones like a horse who has a BIG future ahead of him. 1. 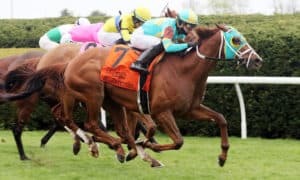 Abel Tasman – Thoroughly entrenched now as the number one horse in this division after her third straight Grade 1 victory, she should have the Eclipse Award in the bag – as long as she doesn’t completely fall apart. 2. Lady Aurelia – She just narrowly lost in a race overseas, so I don’t think that she needs to be moved down. Hopefully, she rebounds and is ready to run a big one when the Breeders’ Cup rolls around. 3. Elate – Based on current form, she seems to be doing better than any others in this division. Abel Tasman will be hard to take down from the top spot, but this filly is really starting to hit her stride after winning the Grade 1 Alabama. 4. Unique Bella – She’s easily number one based on talent, but we must respect Abel Tasman for all of her recent wins. At this point, catching Abel Tasman is becoming more and more unlikely. However, she continues a steady pattern of works leading up to her return. 5. Unchained Melody – Something went terribly wrong for her in the Alabama, so I’m giving her a pass for now. Thankfully, she seems to be ok after stopping and being pulled up. Sleeper: American Gal – She deserves to be mentioned after dominating rivals in the Grade 1 Test. If she keeps running like that, she’ll be ranked in the top 5 very soon. 1. Drefong – He earned his redemption at Saratoga with a big win in the Grade 1 Forego. He also beat his rival, Mind Your Biscuits, for the third time, which is very important. 2. Mind Your Biscuits – He simply didn’t fire in the Forego and finished a baffling sixth. His camp must regroup now, as there’s still time to turn the tables on Drefong, but he’ll have to run much better. 3. Imperial Hint – Another “WOW” performance for this horse as he nearly set the course record at Parx while under wraps. It’s time to run this horse against the big boys and see what happens. 4. El Deal – He absolutely destroyed the field in the Grade 1 Vanderbilt Handicap. Trainer Jorge Navarro has him running at a level that will make him hard to beat – his early speed is deadly. 5. Ransom the Moon – He won the Grade 1 Bing Crosby last time out to cap a great season on the Southern California circuit. Sleeper: Sharp Azteca – At this point, he’s a horse that’s flying under the radar because we haven’t seen him in a while. He’s easily one of the best milers in the country. 1. Copper Bullet – The Grade 2 Saratoga Special winner has shown more talent than any other colt this year. However, he’s sidelined now with a minor injury. He’ll likely miss the Breeders’ Cup and fall down the rankings. 2. Dak Attack – He’s a perfect two-for-two after beating Sporting Chance on debut, then defeating Ten City, who beat Copper Bullet at one point this year. He’s pointed towards the Iroquois Stakes at Churchill Downs this weekend. 3. 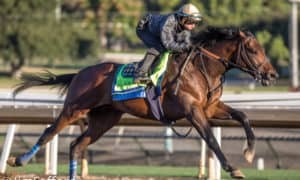 Bolt d’Oro – He impressively ran down Zatter to win the Grade 1 Del Mar Futurity. The top two horses were well clear of the others, which may show that they are legitimate prospects. 4. Sporting Chance – He won the Grade 1 Hopeful after nearly bolting at the wire! He earned a solid speed figure for the win and will look to go two turns in his next start. 5. 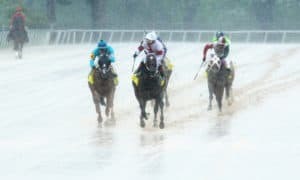 Free Drop Billy – Two solid second-place efforts at Saratoga in the Grade 3 Sanford and the Hopeful give hope that he should stretch out well once the races get longer. Sleeper: Zatter – He looked to be home free in the Del Mar Futurity but was caught late by Bolt d’Oro. This colt is very game, though, and looks to have a nice future ahead of him. 1. 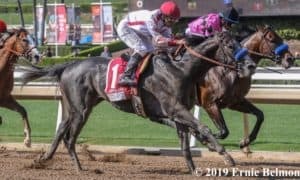 Moonshine Memories – She’s a perfect two-for-two so far, including a win in the Grade 1 Del Mar Debutante over a solid field. 2. Dream It Is – She’s sidelined at the moment with an ankle injury, but this filly showed brilliance when dominating the Grade 3 Schuylerville at Saratoga. 3. Orbolution – Since switching to the turf, this filly has been extremely impressive in back-to-back wins at Saratoga, including a dominating win in the P. G. Johnson. 4. 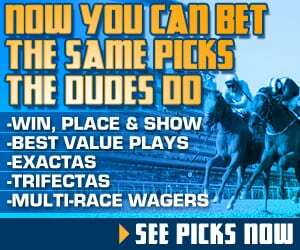 Amy’s Challenge – Breaking her maiden by an eye-catching 16 1/2 lengths at Canterbury Park has some skeptical, but she looks to have a great deal of talent. 5. Spectator – This impressive winner of the Grade 2 Sorrento could only manage third in the Del Mar Debutante. She might have bounced off that big effort. 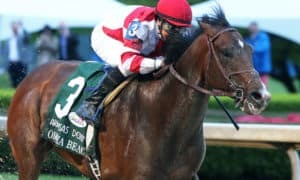 Sleeper: Seperationofpowers – Don’t give up on her yet, as she likely bounced in the Grade 1 Spinaway at Saratoga off of her huge maiden special weight performance.